Because I’m greedy and I’m super fearful of the day my fine lines turn into deep-seated wrinkles. OK I’m not super fearful, because it’s going to happen someday. But why not let that someday be later instead of sooner? I blame Sephora. And their awesome 20% off Black Card member sale every October, before Black Friday month, and before the next time I go crazy with my beauty shopping. 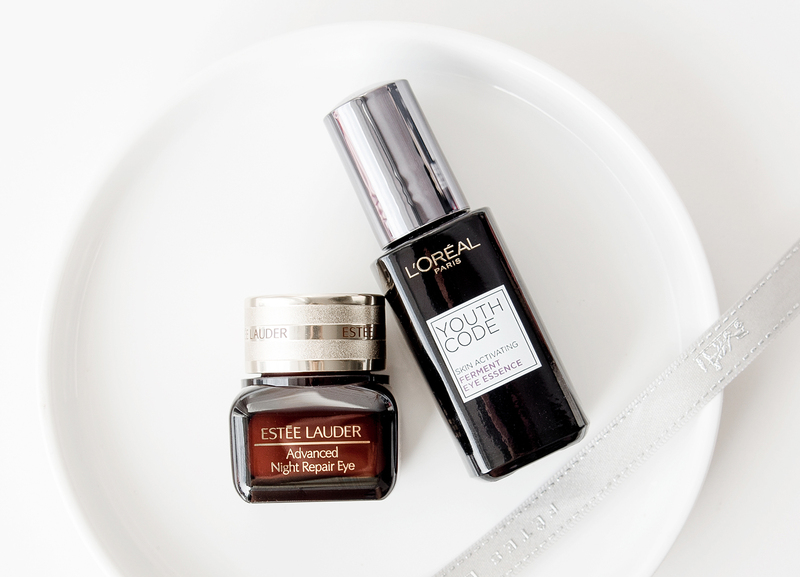 I wouldn’t otherwise have gone home with my new Estée Lauder Advanced Night Repair Eye Cream. Oh but what a joy it has been using it! 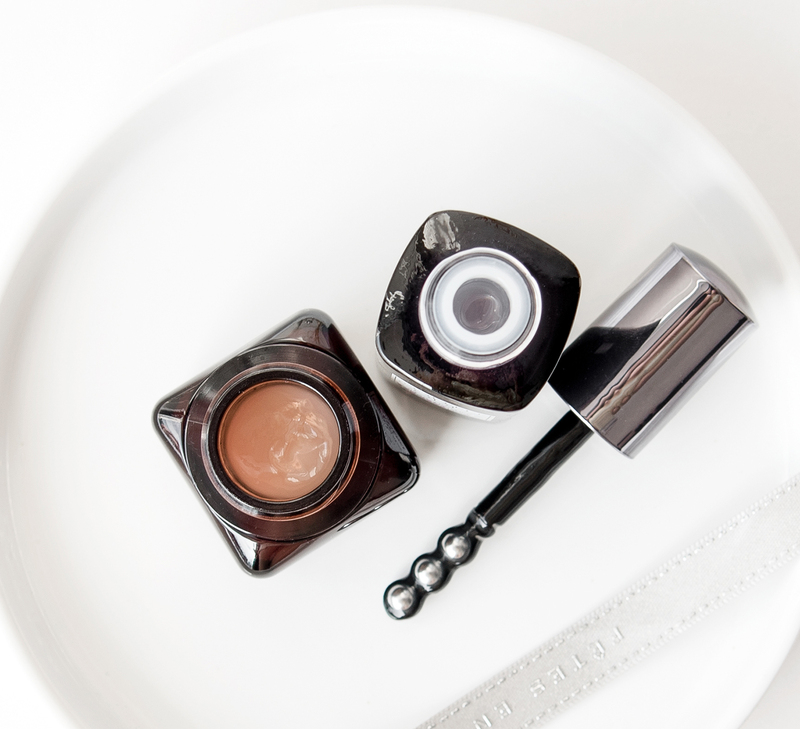 When it comes to eye creams, I never scrimp because whatever you say, the skin around my eyes is the part of skin on me that I treasure the most. It’s the part that’s most resistant to allergic reactions and most receptive to skincare products. Which is why I will splurge when I’m testing something new for my eyes, unlike when I’m searching for a new face moisturiser, for example. And when I find something that works, I stick to it – or find something else equally tempting. 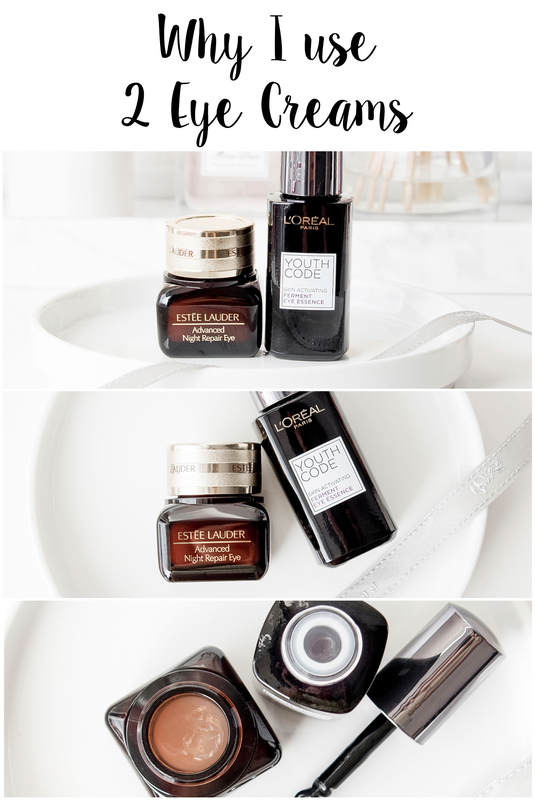 I’ve been testing out the L’Oréal Youth Code Skin Activating Ferment Eye Essence and quite liked it. It completely smoothened out the undereye area, dealing a huge blow to all my fine lines (I highly recommend it for girls in your early-mid 20s). It also allowed my makeup to go on smoothly afterwards, giving no indication that I’ve got a layer of cream underneath. But it didn’t quite manage to un-crinkle the ones that were not so fine, which was why I decided to give the one from Estée Lauder a try. Pat on the Estée Lauder Advanced Night Repair Eye Cream (available on ULTA and Sephora) all around the eyes with my ring finger. Dab on the L’Oréal Youth Code Skin Activating Ferment Eye Essence on top, using the applicator, and then pat it in all around my eyes using my ring finger. Oh, this must be what luxury feels like. I can feel my skin soaking in all the gloriousness. Using 2 eye creams at the same time has got to be the best thing I’ve ever done in my eye care routine. Why didn’t I think of this sooner? If the Japanese can be applying 7 layers of skincare every night, why haven’t I tried applying just 2 for my eyes? Both products contain bifida ferment lysate as one of the first ingredients but this ingredient hasn’t been researched enough to truly prove to be beneficial to the extent that beauty companies are saying. It can be hydrating – and that’s all I need. 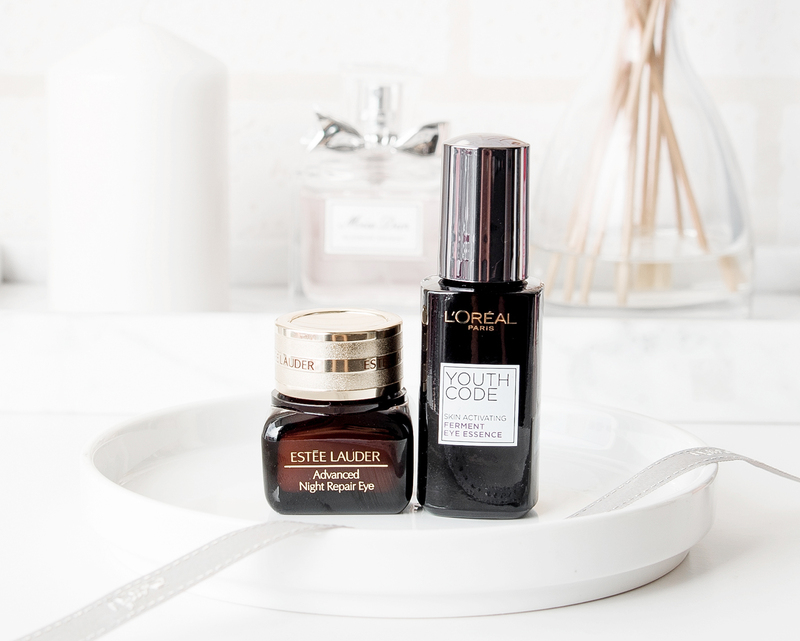 The eye cream from Estée Lauder also contains lactobacillus ferment, which is anti-microbial, and yeast extract, which is great in the areas of hydration. While it also has caffeine, it occurs pretty low in the ingredient list. I’d say that that means it doesn’t really have an effect, yet on the contrary, my eyes have been de-puffed to a good extent. In any case, I’ll be sticking to this routine twice daily until I run out of either one of them. Let me know if this is something you’ll try out as well, and which products you’ll be experimenting with! Why I Use 2 Eye Creams was last modified: October 17th, 2017 by Roxanne C.